Quenching your thirst throughout extended playthroughs is important. Gaming can get intense, so when you are racing through dark tunnels, blasting some dudes or just busting out your moves on the virtual dance floor, you need to keep yourself hydrated. I, for one, feel a need for a nice cool glass of ginger beer after wandering through the parched wasteland of Fallout 3. Different games may requisite different drinks, and some of you may not drink anything while gaming; but if you do- What’s Your Gamer Drink? Ah, the humble glass of water. Readily available from any tap and sold in virtually any supermarket, it’s easy to come by, and cheap. However, it’s revitalizing effects are limited. It can give you a little wake up if you find yourself falling asleep, but not much else. It does little to enhance your energy if you are already fairly alert. However, the glass of water is a decent drink; just don’t expect much from it. Energy drinks can vary, but at the risk of subliminally advertising, I will try not to name names. Nevertheless, there are a few qualities that are shared by all. No prizes for guessing- energy. Yep, energy drinks will give you the sugar boost you need to get your reflexes just that one second faster. Of course, this comes at a price; while your average own brand rubbish is cheap, the good stuff can be quite pricey. Also, once you start drinking- stop at your peril. One energy drink should give you a nice boost. Two will give you a bigger boost, but you may feel tired later. Three or more energy drinks in one sitting will have you bouncing off the walls in no time, but after a while you will soon…feel…very…slee…..
There’s nothing like a nice cold Peps- whoops, no names, I almost forgot….Anyway, the soft drink is a winner on almost all fronts; it provides a decent amount of sugar to give you a boost, but not so much that you will have a massive sugar low an hour later. Also, soft drinks are usually heavily flavoured, and while not healthy, can be quite tasty. 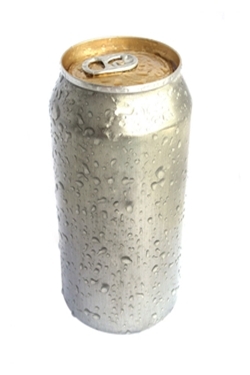 Soft drinks are also widely available. So, when looking to sustain your frag-fest just a few hours more, look no further than a soft drink. Like energy drinks, coffee is a great energy booster. But also like energy drinks, it has side effects. Namely; too much will have you more hyperactive than a Mexican jumping bean. However, it does wonders to speed reaction times. There are however, some practicality issues with drinking coffee while gaming. The main one is temperature. 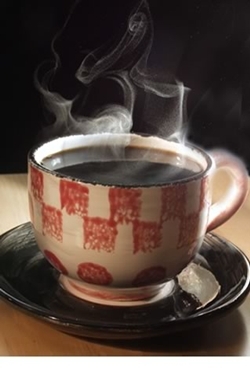 Coffee is hot. This is a fact (unless you drink coffee cold in which case you are very strange). And I don’t know about you, but my gaming can get quite animated; no one sits there holding the controller deadly still. So it must be mentioned that there is a risk of knocking a cup of scalding coffee onto you, and much more importantly- your beloved console. Tea. Coffee’s arch rival. Seriously. Anyhow, I can’t speak for the rest of the GB team when I say this, but over here in Britain, tea is the staple. Some people have 10 cups a day, and that’s perfectly normal. 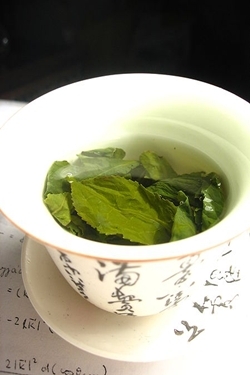 The great thing about tea is that it has a great refreshing taste to it, just like water. However, it lacks the punch provided by coffee when you need those sharper reactions. It also carries the same ‘hot’ risk. Nevertheless, its cheap, cheerful and quite tasty. 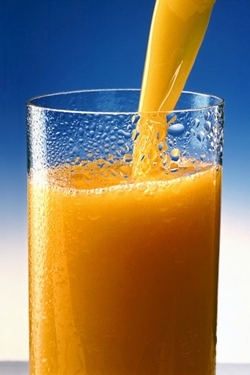 Nothing quite beats the refreshing taste of a tall, cold glass of OJ. Or, just about any juice really. It’s healthy (if that matters to you) and pretty tasty. But gamers be warned! Having had first hand experience of pineapple juice spilling all over a controller and keyboard simultaneously, I can safely say that the stickiness does not go away. Not for a very long time. However, the taste makes it worth the risk- but don’t go drinking litres of juice hoping it will make you more alert; it will probably just make you need the toilet. Milkshakes are really tasty, that’s something we can all agree on. 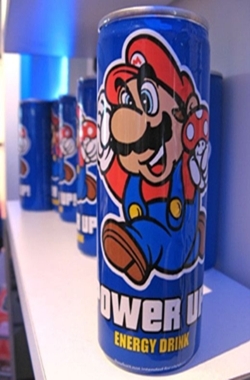 But how do they fare as gaming drinks? The answer: not very well. They look nice and taste nice, but they lack practicality. Think about it- you either drink it with a straw or you drink it as normal. If you use a straw, you have to turn your attention away from the fragging to try and find the straw in the first place. 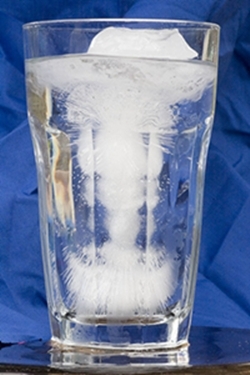 If you use a glass, then you will get what can only be called a shake-moustache. Anyone who has tried to eat a jam donut without licking their lips will know the frustration of an edible moustache. 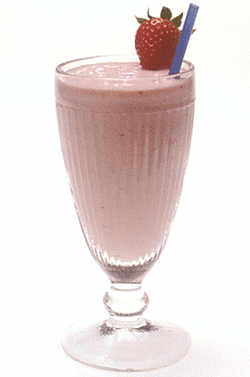 Aside from this though, if you happen to be playing a slower paced game, a milkshake will suit you fine. Milk simply doesn’t cut it as a gamer drink. It tastes OK, it refreshes you a little bit and it doesn’t give you much in the way of an energy boost. 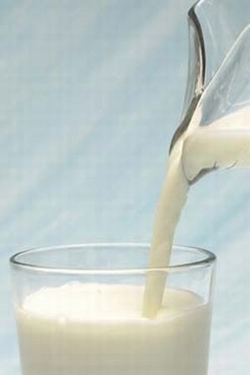 Languishing in mediocrity, milk is a difficult one to drink while gaming when there are so many better alternatives. There are few things in this world as refreshing as an ice cold glass of ginger ale. The strong taste even adds to it’s energy boost factor, as it’s difficult to fall asleep while the back of your throat is burning. 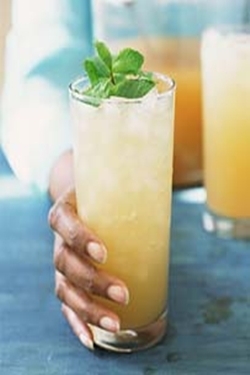 It usually doesn’t have too much sugar in it, so you won’t get much of a sustained sugar high from ginger beer, but it often heavily diluted in water, and so possesses similar qualities. You have probably noticed that alcohol is missing from this list. This is because it goes against our advertising policy. But off the record, gaming while drinking isn’t such a great idea anyway. So what’s your favourite gaming drink? Tell us in the comment below.